On Monday, a frail Bobi Wine appeared before Gulu High Court on Monday, limping into the building with the aid of crutches. The pop star turned MP, whose real name is Robert Kyagulanyi, has become the icon of opposition in Uganda. His representatives say he was tortured while being detained, insisting he needed urgent medical attention. The former singer and 11 others were granted bail on Monday and Wine was taken straight to an ambulance waiting outside the courthouse after his release. His case has put a number of Uganda’s most prevailing political issues under the spotlight. Freedom of speech, human rights and the ever-extending rule of President Yoweri Museveni are all being scrutinised with a new kind of intensity. There are protests in the streets of Uganda, online campaigns demanding Wine’s release and fury over his treatment while being detained. Now, the man who was originally charged with carrying firearms faces treason charges under a state that’s being scrutinised closer than ever. So who is the man shaking up Ugandan politics and drawing attention from around the world? Robert Kyagulanyi Ssentamu is a Ugandan politician, serving as a member of parliament since July 11, 2017. 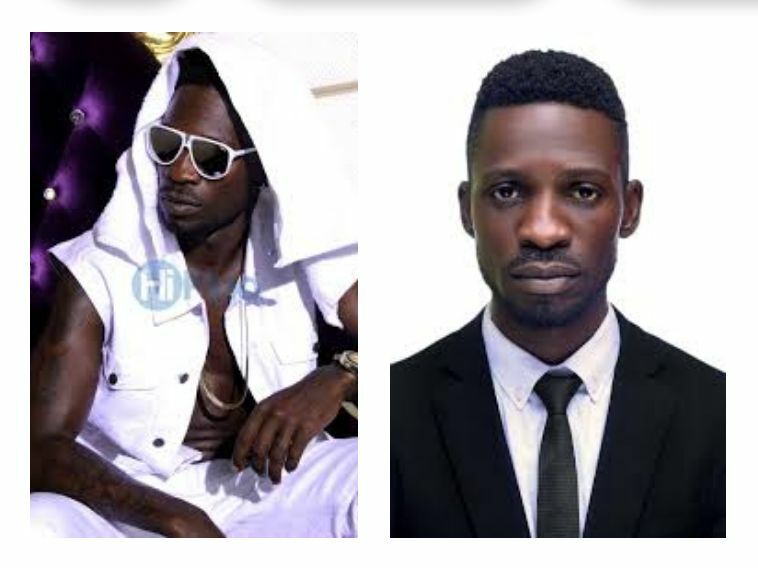 However, he made his name as singer and entertainer Bobi Wine – both as a solo artist and a member of two Ugandan groups. The popular entertainer moved into acting in the late 200os, mostly starring in local movies referred to as Binayuganda. In April 2017, Wine announced his candidacy for parliament in the upcoming by-election for the Kyaddondo East Constituency. He won by a large margin, beating two experienced candidates and his popularity has only flourished further since his step into politics. In 2018, Wine campaigned for a number of opposition candidates in by-elections, most of whom beat candidates of the ruling National Resistance Movement party and the country’s leading opposition group, the Forum for Democratic Change. Referring to Wine as a pop star or former singer risks downplaying his political significance, but – make no mistake – this young politician has made a serious impact in his short time as an MP. Why was Bobi Wine arrested? Bobi Wine was arrested on August 13 following an outbreak of violence during Uganda’s most recent by-elections. Five candidates he campaigned for beat those supported by Museveni and the country’s leading opposition party – and beat them significantly. The violence that followed involved an attack against President Yoweri Museveni’s car, which was pelted by stones. Shortly after the incident, Wine was arrested by the military and charged for the illegal possession of forearms before a court martial – despite being a civilian who, according to his wife, doesn’t even know how to operate a fire arm. These charges were ultimately dropped by the military court which ruled Wine should be charged with treason instead. There’s no sign of the firearms that were supposedly found in his possession – the reason he was originally arrested – and now he finds himself facing charges of treason. According to his lawyers, Wine was tortured while being detained and the MP himself later appeared looking frail, walking with the aid of crutches. His representatives at the time warned that Wine was in need of urgent medical attention and an ambulance was waiting for him upon his bail hearing, ready to take him straight to hospital should he be released. For now, Wine is a free man but his trial for treason charges awaits. How much of a threat is Bobi Wine to Museveni? President Museveni remains popular with sections of the public, particularly among those who are old enough to remember life before he came to power. The common argument is that he’s better than any of his seven predecessors and Museveni’s list of political achievements – particularly bringing peace and relative economic stability to the country – help support this. However, the narrative of Museveni being better than the past doesn’t ring true with the country’s younger population who want to look forward to a brighter future. Wine became a figurehead for those in Uganda’s poorest neighbourhoods who feel unrepresented by the government. To them, his presence in parliament really is bringing the ghetto to the government and making it difficult for their needs to remain unheard. This tells you something about Wine’s popularity, which was recognised as a threat as soon as he moved into politics. Of course, Museveni has seen off popular opponents before but there’s a sense that something could be different this time around. This has been reflected by the demonstrations held across the country and international campaigns supporting Bobi Wine. For Ugandans, 70 percent of whom are under the age of 35, the story of Bobi Wine represents a much bigger set of issues involving the country’s stifled media, crackdowns on freedom of expression and human rights violations against anyone who stands up to the government. Bobi Wine has already ascended to icon status as a politician and it looks increasingly likely he will run against Museveni in Uganda’s next presidential election. There’s no doubt his support will continue to be a threat for Uganda’s long-serving president and this will only provoke further aggression from Museveni – aggression that will likely increase dissent against the state. Unfortunately, for those seeking political change in Uganda, Museveni has excelled in seeing off popular opposition figures in previous elections and it’s obvious the authoritarian has no intention of handing over power at this stage.